The judgeship of Saharsa was created on 18th Nov., 1968. Prior to that it was an unit of Bhagalpur Judgeship. Hon'ble Justice Mr. Satish Chandra Mishra, the then Chief Justice, Hon'ble High Court, Patna had inaugurated the Judgeship. At the time of its creation there were three Sub-divisions under it viz. Saharsa Sadar, Supaul, Madhepura. Later on one more Sub-division Birpur was created. 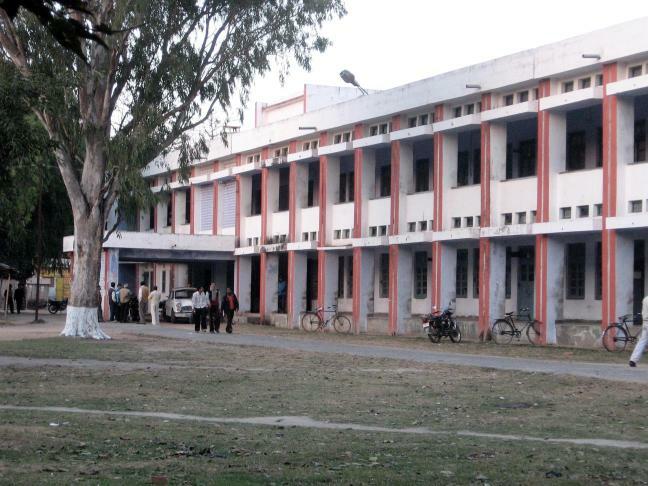 However its hedaquarter continued to be at Supaul itself due to nonavailability of jail at Birpur, Headquarter of Birpur Subdivision Shifted at Birpur w.e.f. March, 1999.Later, on dated 22 November,2014 a new judgeship has created Supaul is created from Saharsa Judgeship. After Creation Of Judgeship Civil Justice was in the hand of District Judge at Sadar. At lowest level it was in the hand of Munsif, Saharsa. The important and surprising factor was that at that time there was no court of Subordinate Judge at Sadar. Rather it was at one of its Sub-division Madhepura having its jurisdiction all over the judgeship.Court of Sub-judge was opened at Saharsa and Supaul in 1974. With the passage of time Madhepura and Supaul became a seprate judgeship in December, 1986 and 22 November, 2014 respectively by delineating the part of this Judgeship leaving only Saharsa in this Judgeship. At present Civil Justice is being exercised at Sadar by District Judge, Adll. District Judge, Subordinate Judge and Munsif. .Sri Durga Prasad Sinha was the first District & Sessions Judge of Saharsa Judgeship.